This was a strange week, indeed. With a midweek day off and our *third* heatwave of the summer (I’m no meteorologist, but err, maybe this is just…summer?) I spent a fun Fourth of July at a barbecue or two, sweating profusely. 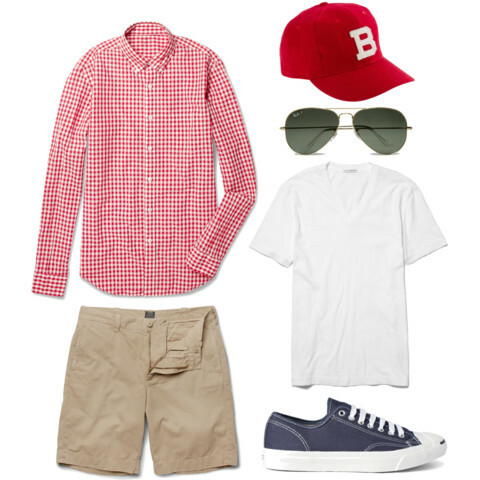 So this weekend, with a trip to the ball game planned, as well as a day at the beach, my outfit choices are all about comfort and style at high temps. 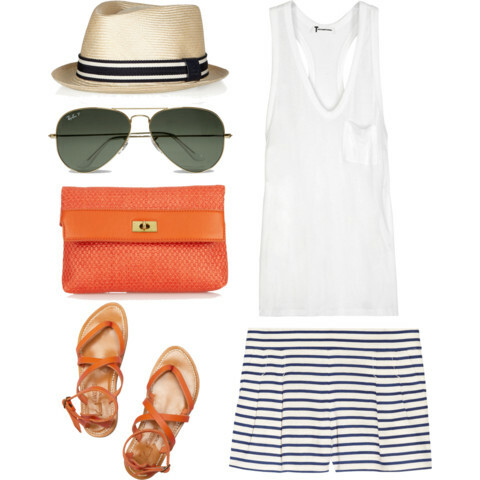 I love the orange with the navy here, and those striped linen shorts are perfection for sitting in the stands and on the sand. Aspirational goals include wearing a foam finger, purchasing new beach towels (I quite like these red striped ones, which you can monogram for just $6 extra!) and wearing my hair curly for a change. You’ll also notice a matching “His” this week — although you could definitely catch me in either of these outfits, by the bye — something new I wanted to try out. As I am somewhat sure I might have some male readers, I thought they might feel a bit left out looking at clutch bags all the time. Here’s to a grand weekend! no generic baseball caps allowed! You are currently reading QC Prêt-à-Porter || Take Me Out To The Ball Game at Quite Continental.